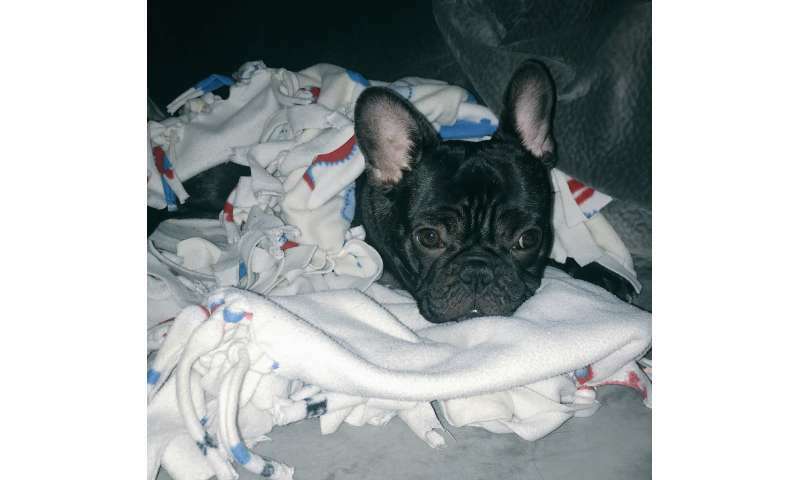 As frigid temperatures sweep parts of the country during the final days of January, experts from Purdue's College of Veterinary Medicine have some advice when it comes to keeping your furry friends safe from the winter elements. Here are 12 tips to help keep your pets happy and healthy this winter. Be sure to wipe your dog's paws after going outdoors to remove any salt or deicer. Salt and ice can cause trauma to pads. Also, deicer is toxic to the kidneys and causes renal failure. Another way to protect the paws is to put booties on when they go outside. Pets can easily get frostbite on their extremities, such as their ears, legs and tail. Try to control the amount of time your pet stays outside and use booties to prevent frostbite to the feet. Although some pets are conditioned to cold weather, veterinary experts agree that you should bring outdoor pets indoors if the temperature drops below 20 degrees Fahrenheit. Puppies, kittens and short-haired pets should come inside anytime the temperature goes below 40 degrees. To encourage your dog to eliminate outdoors when there is snow on the ground, clear a small path on your lawn. Avoid letting your dog off its leash. It can fall through thin ice over ponds. Snow can hide tree branches, rocks and other slippery objects. Decrease the amount of food you feed your pet during the winter months when their activity is the lowest. If your pet is active outside during the winter months, he/she will need to eat more to help keep warm. Your veterinarian can help formulate how many calories your pet needs during the winter. Cats seek places where it is warm. Make sure outdoor cats are not sleeping in warm car engines. Be sure to pound on the hood of the car prior to starting it. Decrease frequency of baths so you don't dry out their skin. Also, use a moisturizing shampoo to combat dryness. Your veterinarian can recommend shampoos to use during winter months. For pets with long hair, proper grooming is essential to help them maintain a layer of warming air within their coat. Pets that are heavily matted cannot keep themselves as warm. Older dogs with arthritis could be in more pain during winter months. Consult your veterinarian for advice and medication that could help your pet stay comfortable. Smaller dogs would benefit from using a sweater or coat when going outside to help retain body heat. Pets should not be left alone in vehicles due to the potential for carbon monoxide poisoning or hypothermia. If your pet must stay outdoors, be sure to provide shelter for your pet. A good "house" will have three enclosed sides, will be elevated off the ground, and will contain generous amounts of bedding such as straw or hay. Remember, if you are cold, then most likely your pets are cold too.